If you follow the literary world at all, you've probably heard that Harper Lee, author of To Kill a Mockingbird, is releasing her second book in July. Lee's first story, published in 1960, follows Scout and her father Atticus Finch as he fights for civil rights in Maycomb, Alabama. The Pulitzer Prize winner has been read by millions of people and created quite the impact. Now fifty-five years later the author's second book, Go Set a Watchman, will be released in July. 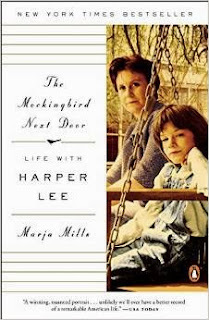 In the meantime, I picked up The Mockingbird Next Door: Life with Harper Lee by Marja Miller. Part memoir, part biography Marja had the rare opportunity to spend many months with Harper, called Nell by her friends, and Alice Lee. Alice, Harper's sister, is a lawyer who followed in her father's footsteps. In 2001, the Chicago Public Library chose To Kill a Mockingbird for its One Book, One Chicago city-wide read. At that time Marja worked for the Chicago Tribune and was asked to travel south to Monroeville, Harper Lee's hometown. She hoped to at least write about the small-town Maycomb was based on. She never imagined she'd spend months in the company of Harper Lee and her sister, plus spend time with their close circle of friends. The Mockingbird Next Door is one of the best nonfiction books I've read. 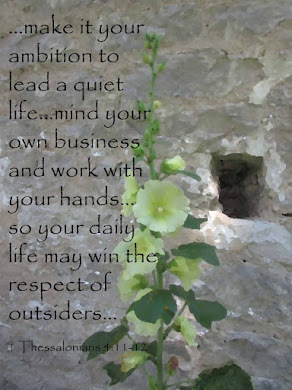 Reading Ms. Mills book was like sitting with her at lunch and chatting with a friend. By the time I finished the book, I felt like I'd visited Monroeville and met the Lees. If you're waiting to read Go Set a Watchman, this would be a great book to peruse in the meantime.